Christopher S. Penn is the vice-president of marketing technology at Shift Communications. He's also the author of Marketing Blue Belt and co-host of the Marketing Over Coffee podcast with John J. Wall. 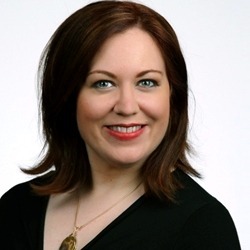 Chris is also a well known Google Analytics expert (check out his course, the 2016 Marketing Plan Framework: How to Build a Data-Driven Customer Journey). I invited Chris to Marketing Smarts to discuss his latest book, Leading Innovation: Build a Scalable, Innovative Organization. "Innovative" is one adjective that people love using to describe their companies, but true innovation requires trust and a willingness to fail. Chris and I discuss the innovation formula and the "Plus Path," which together provide an easy-to-understand framework for keeping your organization ahead of the curve. Innovation and creativity mean different things (07:26): "Innovation doesn't mean creativity.... People kind of conflate the two, but they're not the same thing.... If you look at the word 'innovation,' it's from Latin (novare), which means 'new.' It's 'new from the inside.' You take something old—stuff you already have—and you create something new. There's a Japanese proverb, 'on ko chi shin,' which means 'study something old to learn something new.' That's what innovation is. It's being able to take something you've got, maybe its ingredients, and mix them up in a different way." "Being unable or unwilling to take risks is a big part of where innovation fails, or failing to use the scientific method, and just kind of doing things haphazardly. Sometimes that works out, but most of the time you can't make something that's repeatable, and therefore you have a one-off rather than a recipe that you can then adjust and hand to the rest of the organization." Sometimes, the smartest business decision you can make is to kill your own cash cow (11:40): "Innovation—because you're taking something old and turning it into something new—that's the easiest way to disrupt yourself. And if you disrupt yourself, if you are constantly challenging what you create, you don't give competitors much of a chance to do it to you. Someone is always going to disrupt the market. Someone is always going to go from the horse-drawn carriage to the automobile, and the question is who is it going to be. Is it going to be you or is it going to be someone else. "By far the best example of this is the late Steve Jobs. He wrecked his own products.... When he rolled out the iPhone, he killed the iPod. The iPod was going strong. If you look at Pew Research's data from the last decade, at the time the iPhone came out the iPod was by far the dominant mp3 player and the mp3 market was growing, it had solid growth.... There was still a lot of life left in that market. And he took what was basically an iPod of sorts, added phone capability to it, and it broke his own product... And so he took these things and made Apple the most valuable brand in the world, because he was willing to break his own market. We have to do the same thing in all of our organizations." If you want innovation, you need to create a culture of experimentation and get comfortable with failure (14:09): "Innovation is a culture, It is something you have to foster inside the organization. The biggest falling-down point is an aversion to risk. If you're not willing to fail...if you're not willing to expend real resources—time, energy, money—on failure, you will not have innovation. You may have a couple of people here and there going rogue and stuff, and that's fine, but ultimately you have to have a culture where failure is OK, where it's celebrated.... There are some companies in Silicon Valley where they have "project death parties," where they celebrate 'that project completely blew up.' It celebrates to people that innovating and experimentation is OK."
To learn more about Chris, check out his website at ChristopherSPenn.com. You can also follow him on Twitter @cspenn. And be sure to get your copy of Leading Innovation at LeadingInnovationBook.com. Chris and I talked about much more (he's truly brilliant), so be sure to listen to the entire show, which you can do above, or download the mp3 and listen at your convenience. Of course, you can also subscribe to the Marketing Smarts podcast in iTunes or via RSS and never miss an episode! Christopher S. Penn, vice-president of marketing technology at SHIFT Communications. 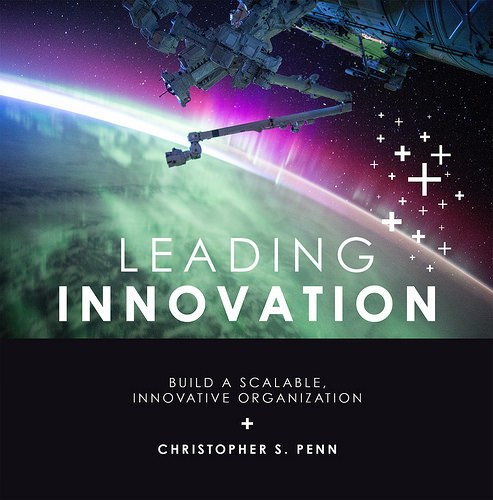 Get your copy of Chris's latest book, Leading Innovation, and learn more about Chris at ChristopherSPenn.com. You can follow him on Twitter @cspenn and check out his Marketing Over Coffee podcast.